That's Darla the Eagle. If you haven't heard of her here's the link. You really haven't lived until you've watched streaming video of a sleeping bird on a Friday night. When we weren't bird watching, we did our best to wear out the kids. "Hey Vance, run to that big tree and I'll time you!" 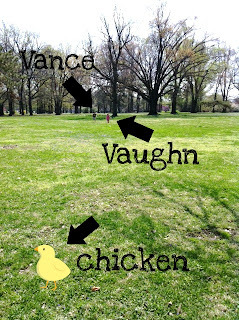 Vaughn just follows Vance. We also mingled with a Clydesdale. We agreed that his name was Fred. We enjoyed the great weather, hope everyone did the same! oh wow! the live stream cam is so cool. 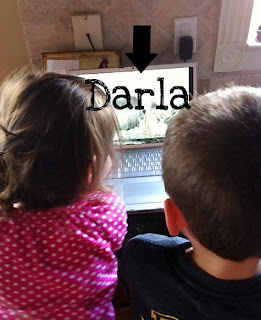 I checked out Darla and a few owl's. The owls were all asleep so I will have to try again later. very cool thanks for sharing.